The Trump team is bitterly divided over what's happening with China. Between the lines: Treasury Steven Mnuchin and Larry Kudlow, Trump's top economic adviser, want a deal that has China buying billions in U.S. products in exchange for not facing retaliations on alleged theft of IP. But while hardliners Peter Navarro and Bob Lighthizer have been publicly silent, people familiar with their thinking say that they believe it would betray Trump’s economic agenda, missing a once-in-a-generation opportunity to force China to change its industrial practices. Three sources outside the White House who are familiar with the Trump officials' recent Beijing trip told me Mnuchin ran his own meetings with the Chinese on the last day of the trip, mostly keeping the rest of the U.S. team in a holding room. There has been some concern within the administration that Mnuchin is trying to run these negotiations unilaterally. "Mnuchin marginalized the team and positioned himself as the guy," a source familiar with the talks told me. An administration source familiar with the China meetings pushed back hard against this, saying it's a narrative being "pushed by interested parties both inside and outside" of the administration. He said the President is the one in charge of the deal and Mnuchin's one-on-one talks with Liu He were brief, "completely appropriate," and "highly choreographed," adhering to protocol. "Everybody who knows what's actually happening knows that this is the President's decision to make," the official said. "There's going to be no deal that the President doesn't sign off on." 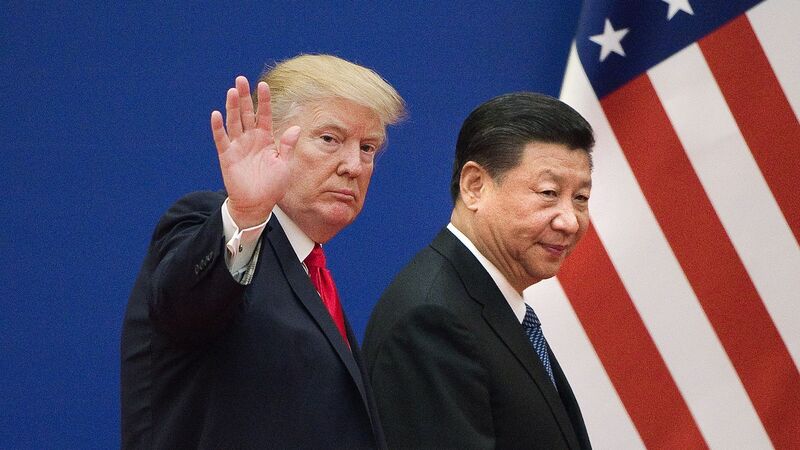 Be smart: "Whatever deal they might make will be temporary," says Richard McGregor, a senior fellow at Sydney's Lowy Institute, who is well-sourced in Beijing. "The Chinese expect the U.S. to pocket whatever concessions they might make and then come back for more in a few months."